Microapartments with open floor plans leave a lot of room for creativity in terms of styling the space. 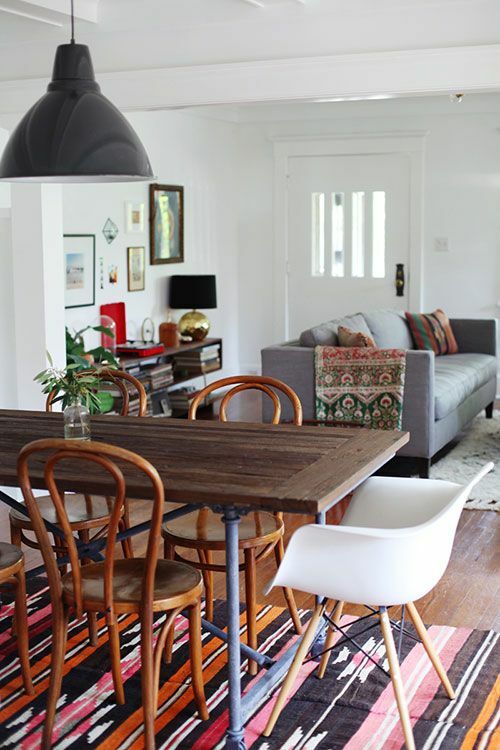 And if you live in a small flat, the living room and dining rooms are most likely incorporated in the same area. 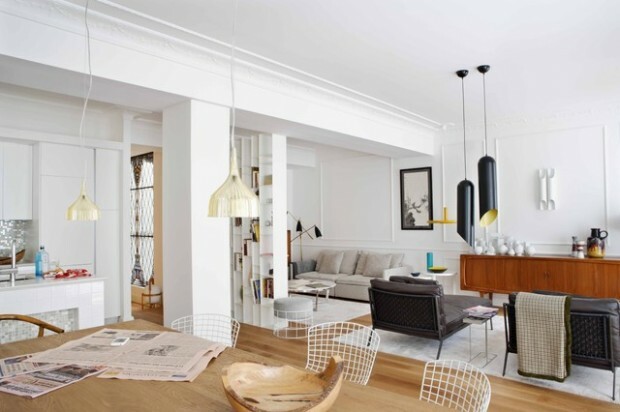 An integrated living-dining room is a popular home design since the 20th century. The design is meant to replace stuffy reception rooms common in traditional Victorian homes. But for contemporary apartments and studios, this design is dated. A bookcase is a practical solution for open floor studios. It maximizes the space and pulls double duty as a room divider when it’s set perpendicularly to a wall. When placed in between the living room and the dining room, the bookcase creates a wall that separates these areas. It’s one of our favorite small studio apartment ideas for the space-strapped too because you get valuable storage space at the same time. 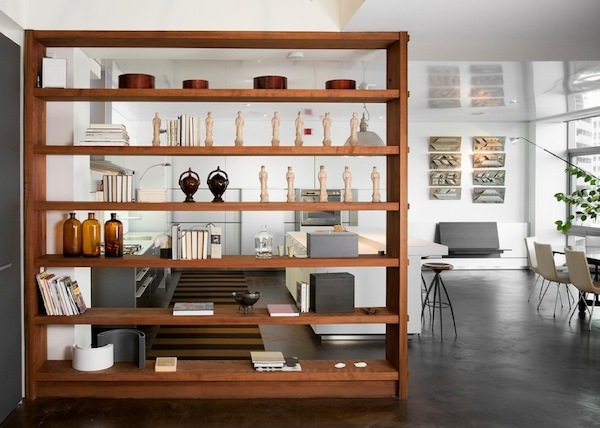 As far as the right bookcase height goes, it will depend on your needs and taste. The bookshelf doesn’t have to stretch all the way to the ceiling to create separation between rooms. But tall bookshelves do a better job of physically dividing rooms compared to petite bookcases. A soft, wall-like divider like curtains is easily one of best small studio apartment ideas for separating rooms in a studio. 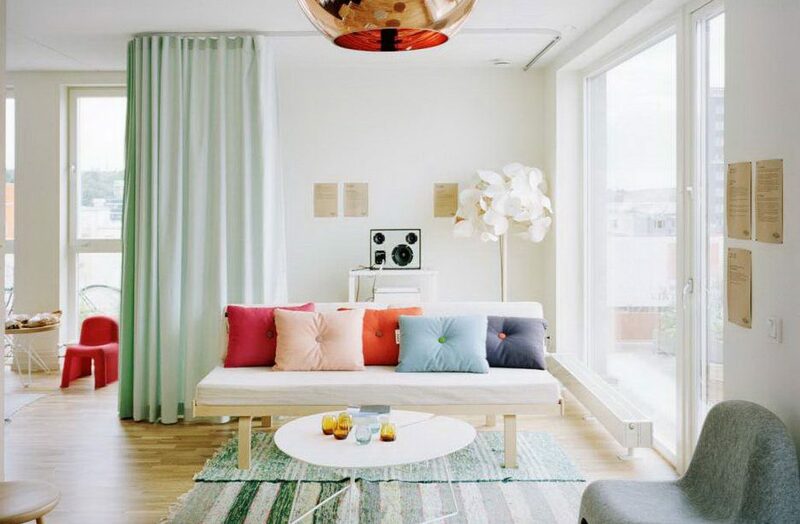 For one thing, curtains do not take a lot of space so the visual load is much lighter than a bookshelf. Curtains give you plenty of privacy when needed because it slides in and out of the way. Finally, curtains come in an array of colors, styles, and patterns; this space-saving solution is perfect for fickle-minded city dwellers. 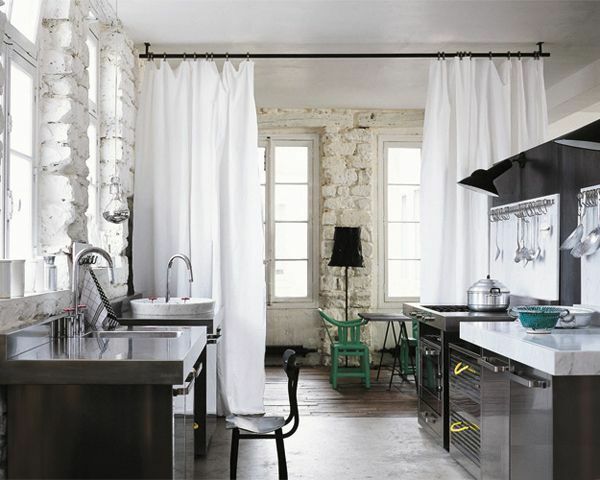 You can hire a professional to install the curtain rods for you or do it DIY style for affordable styling. Don’t worry, installing a curtain rod is easy and it only requires basic tools. Here’s a great tutorial to get you started. Making your own floating closet in between the dining and the living area gives the illusion of separation between these rooms. Yes, it’s an unusual way to divide spaces but it’s quite effective! 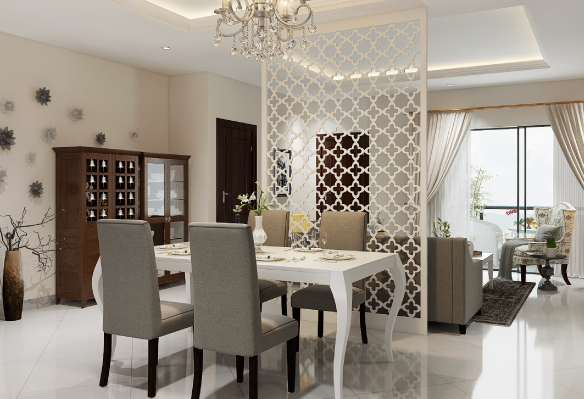 Add a touch of elegance to your interiors while physically separating the living and dining area with a divider. A divider makes a stylish focal point in an open floor studio while adding privacy too. What’s more, dividers come in an array of styles and materials to choose from. You’re never out of options! There’s always a fabulous room divider that’ll match your interiors perfectly. 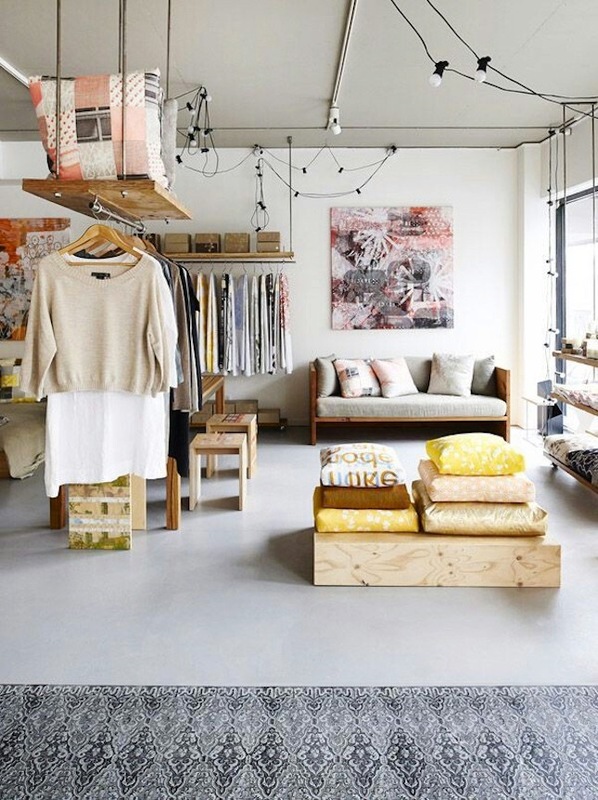 A well-chosen set of rugs or carpets helps separate different areas in an open floor studio. 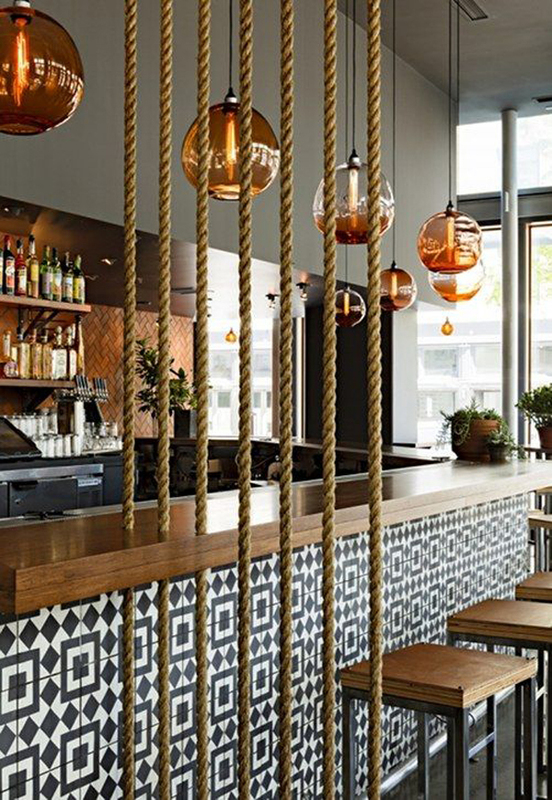 These floor coverings add definition to a space and tie the overall design of a room together. The key to making carpets and rugs work as a space divider is creating a striking contrast between the flooring and the floor covering designs. For instance, matching graphic-heavy rugs and plain neutral carpets with laminate floors adds distinction between rooms. 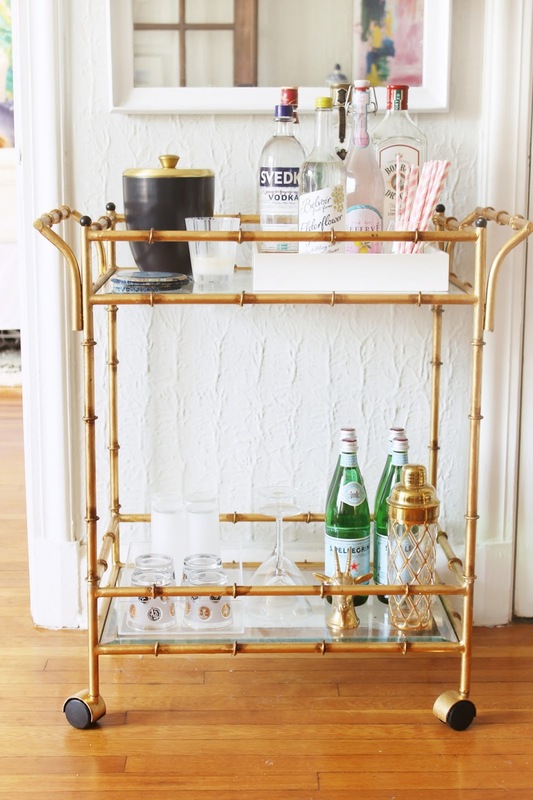 Bet you didn’t know a kitchen staple like a bar cart could actually work as a room divider! As a room divider, a bar cart effectively separates the kitchen area from the living area visually and physically. What’s more, it offers a sizable flat surface and extra storage space, perfect for small studios and one-bedroom apartments. A bar cart is also fairly inexpensive! It rolls in and out for easy setup, quite convenient when you have guest over. The perfect lighting does more than just set the mood in a space. 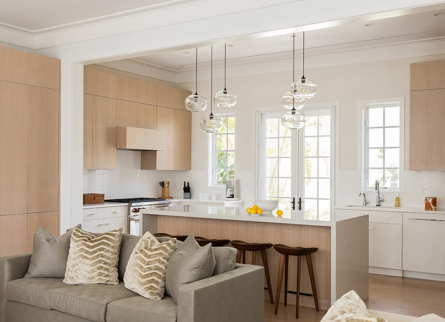 A couple of pendant lamps could work as a barrier that divides the dining and living area visually. Just install 2 to 3 pendant lamps in between these rooms and you’re done. The strategically-placed lamps give the appearance of separation between spaces. Plus, the lamps do not take a lot of space and they’re so stylish. Hygge-chic! A rope barrier works just as well as a room divider or a folding screen. It separates spaces in a home of any size physically and visually. You can get a rope divider – also known as a rope wall – at any furniture store in your local area or make your own using basic tools. Here’s a great tutorial you can try! Refresh your home with a splash of green and divide a large expanse of space at the same time with a plant screen. A plant screen works as a room divider if you don’t mind the upkeep! This idea is also perfect for space-strapped homeowners who are into gardening too! 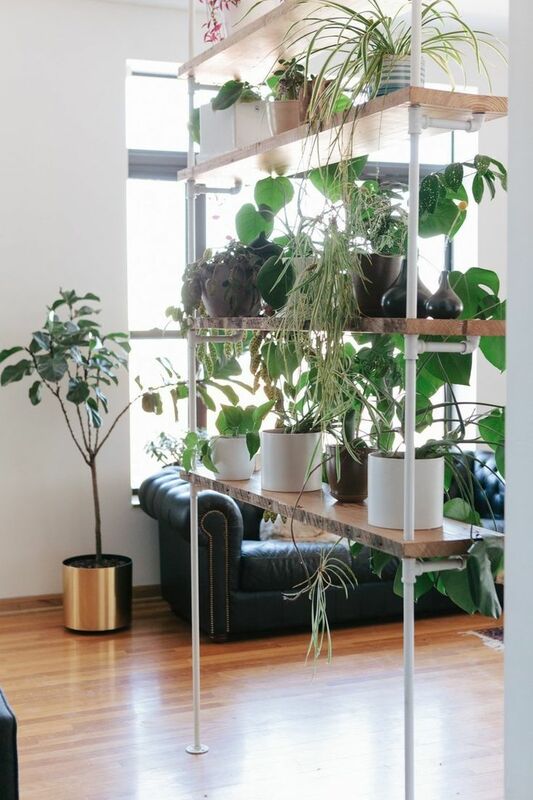 If you’re not keen on spending $$$ on a plant screen but you’ve got several potted plants, just line ’em up and they’ll be just as effective in terms of creating separation in a space. 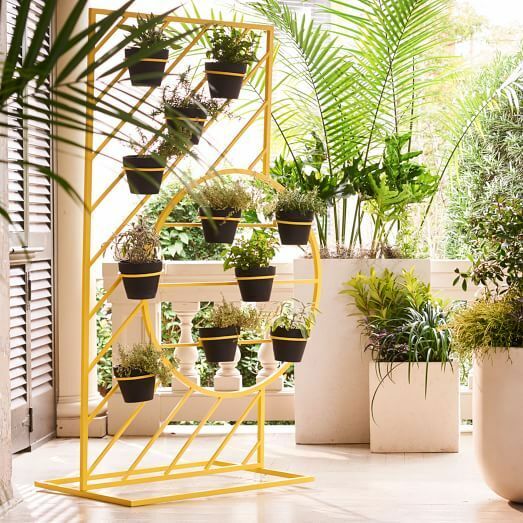 To organize your potted plants, you can also place them on a shelf. You don’t need to spend cash to separate rooms in an open floor studio. Any existing furniture you’ve got could work as a divider. A couch, a bed, even a side table adds distinction to a room when styled the right way. Something as simple as setting the couch in between the kitchen and living area so your back faces the living room when you’re seated helps create division in a space.